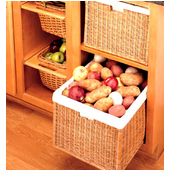 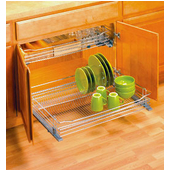 Choose from our selection of kitchen storage and organization products for base cabinets that help organize all of your kitchen products and keep them neatly hidden and easily accessible. 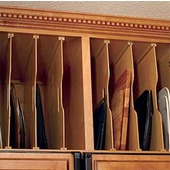 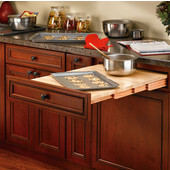 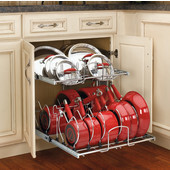 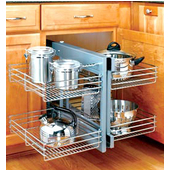 Rev-A-Shelf offers a vast collection of cabinet organizers in a wide variety of styles and applications sure to suit the needs of both small and large kitchens alike.The cabinet storage solutions include cabinet door organizers, dishware organizers and pull-out storage units for base cabinets. 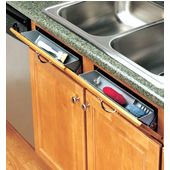 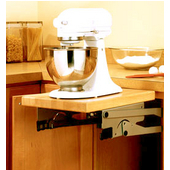 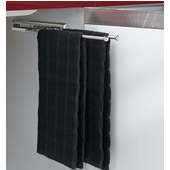 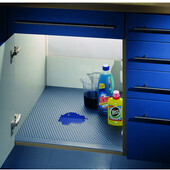 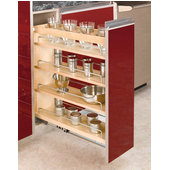 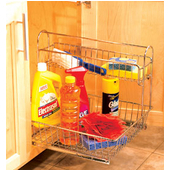 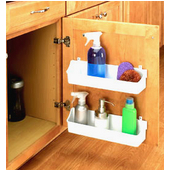 Also choose from a range of products that provide a custom look such as base cabinet fillers and sink tip-out trays. 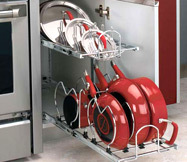 With so many storage solutions to choose from, its no wonder why Rev-A-Shelf's reputation for quality kitchen storage products is virtually unmatched in the industry.